Offering all kinds of unique tents and tent accessories, Maui Tentworks has the perfect structure for your wedding at great prices. Choose from Structure Tents, Pole Tents, Festival Tents, and Frame Tents for the perfect modern tent rental. 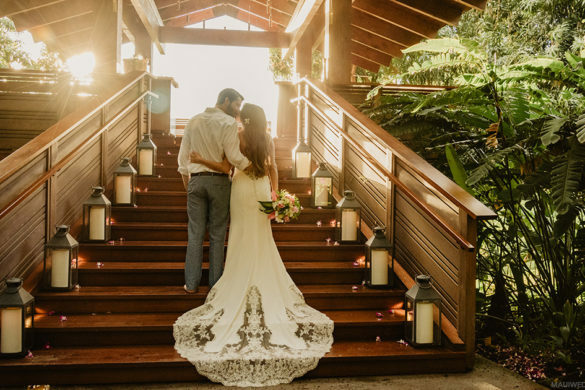 Hawaiian Style Event Rentals is proud to present our extensive collection of stylish wedding & event furniture and chic rental decor perfect for any special occasion on Maui. We are dedicated to offering the best in designer event chairs, event tables, tenting, specialty linens, dinnerware, bars, lighting, sound systems and accessories of the highest quality and MORE! Because our inventory of modern event furniture is constantly expanding, we often have the ability to accommodate the custom event rental orders — so let us know if you’re looking for a certain rental item that does not appear in our online catalog! We provide tents, lighting, dance floors, tables, chairs, linen, wedding equipment, china, glassware and catering equipment. Most of our product inventory is online for your viewing. Please browse our photo gallery for inspiration and ideas. In addition to equipment rentals, we also offer set-up, delivery and consultation services. Island Rents is a family owned and operated LLC established in 1987.
kool. Party Rentals’ commitment to excellence goes beyond simply providing premium event furniture and illuminated décor like our distinctive lounge seating and lighted tables, bars, centerpieces, décor, and much more. From our design expert Account Executives on the front lines, to our delivery and setup Krew that ensures the success of your order, our team of dedicated professionals takes pride in working diligently with our clients to make every event a highly personalized and completely successful experience. Maui Rents specializes in event rental equipment & furniture such as tents, lighting, dance floors, tables, chairs, linen, decor & services tailored for weddings, corporate functions, concerts, fundraisers and parties of all sizes. Maui Rents’ mission is to provide the highest quality equipment & staff for each and every event we cover, with our focus on your complete satisfaction from inception to fruition! With our composition of customer service, extensive inventory, experienced staff and the fact that we love what we do, you can rest assured that your special event will be a success! We look forward to helping you transform your vision into your reality! At Pacific Isle Rentals, we take care to provide our customers with high quality rentals & services personalized for their unique needs. We want all of our clients to have the best experience possible when planning a wedding or special event. Because of this we highly recommend that all wedding parties work with a coordinator. Paradise Event Rentals provides wedding rental equipment such as tents, canopies, tables, linen, chairs, lighting, and much more! Whether you are planning your wedding, rehearsal dinner, vow renewal or any special occasion, we are here to provide you with professional service and quality products. We take pride in being one of the most innovative rental companies in the island of Maui, and treasure every event we participate in. We are your one stop shop for event rentals in Maui! Panache Decor is the Events division of Panache Destination Management, producing fantastic and memorable incentive event experiences for our discerning clients. We deliver Fresh! Design, Fun! Interactive Entertainment and Superior! client service. Innovative event creation and consistent production operations has earned us the trust and loyalty of some of the biggest names in corporate travel. An important painting always bears the artist’s signature. The act of signing connotes significance, makes things official, and evokes a sense of truth, integrity, pride and finesse. Signature is a collection of boutique event rentals that bears these very qualities. Located on the island of Maui, Hawaii, our fine furniture and handcrafted décor embody a classic, understated elegance perfect for an island event.